Are you the kind of person with one set of all-purpose cutlery in the house? This often makes sense since home-cooked menus are often not that diverse and you may not entertain people that often. But what do you do when you get an invitation to a fancy dinner? Most likely you spruce up on your etiquette knowledge and you might start with forks. A salad fork is a small fork used for eating salads. It is approximately 6 inches long and its tines are broader and flatter compared to the rest of the forks on the table. These tines provide leverage when cutting through large vegetables and lettuce leaves. 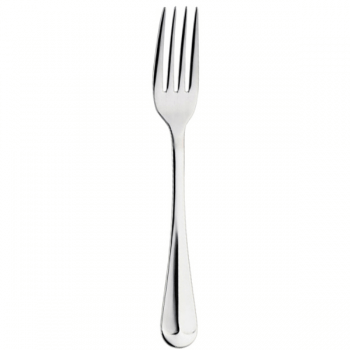 Salad forks are used in formal and informal dinners. Placement of the salad fork on the table depends on the sequence of courses. Therefore, for salads served after an entrée, the salad fork will be second on the left. For salads served as entrée themselves, the salad fork will be first on the left. 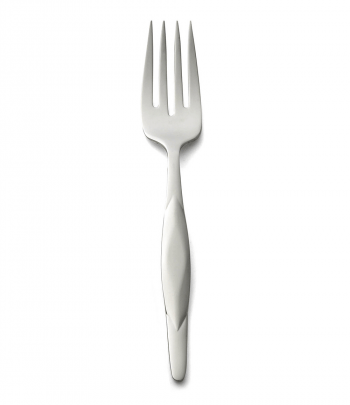 A dinner fork measures 7 inches in length and is used for the main course. Normally, the dinner fork has 4 equal tines. Also, it stands out on the table setting by being the biggest fork. All forks go on the left side of the plate, to left or right of the dinner fork. Placement to the left or right of the dinner fork depends on the sequence of courses before or after the main course. Basic cutlery sets with forks, spoons, knives and dessert spoons will usually have only dinner forks which can used for everything, from fish to salad to desserts. So what is the difference between a salad fork and a dinner fork? A salad fork is used for salads and a dinner fork is used for the main course. They both have four tines, although some salad forks sometimes have a thicker outer tine on the left for cutting lettuce and vegetables. See the picture below. Normally, the salad fork does not have a corresponding knife on the right side of the plate. However, you may find a corresponding knife on the right side when the salad fork does not have the specific cutting tine. The dinner knife is longer than the salad fork. It has a corresponding knife on the right side of the plate and its placement indicates how many courses precede the main course.